Feeling a bit more energetic. 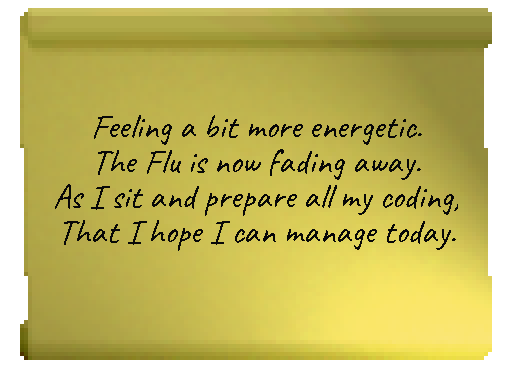 The Flu is now fading away. That I hope I can manage today.